Could your wardrobe use a little more color and pattern? We've got just the thing. 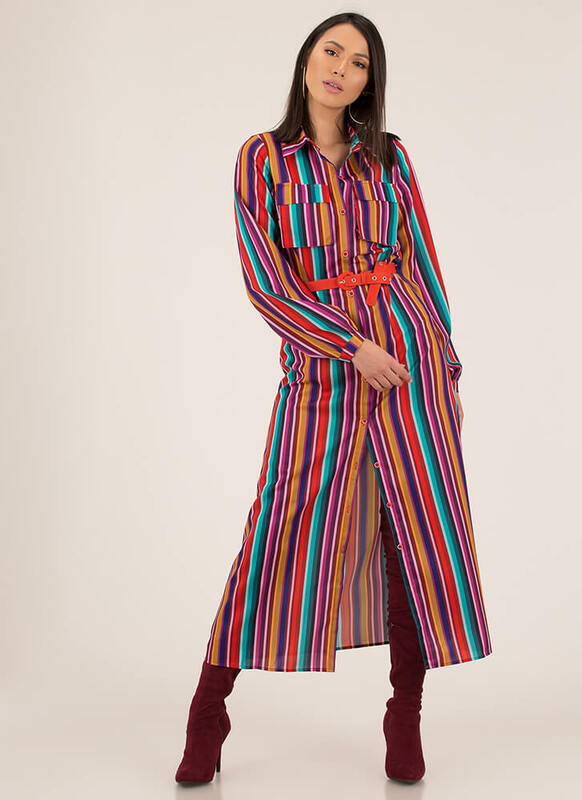 Collared, non-stretchy, long-sleeved maxi shirt dress features a fit-and-flare silhouette, a button-up front, an optional belt, and an allover multi-colored print of vertical stripes. Pattern placement may vary.